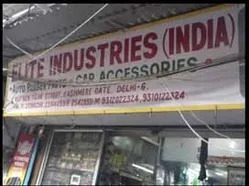 In 1969, Elite Industries (India) started as a customer centric organisation has been serving the needs of client by manufacturing, supplying and trading Automotive and Gift Products. The qualitative range of our catalogue products includes New Items, Steering Wheel Cover, and Door Visors. Installed with enormous features our auto mobile and other products have high level resistance quality, they can resist water, UV radiation, which has made us as one of a recognized and acclaimed firm in the market. Our clients rely on our products as they are available in a wide variety of colors and designs, various dimensions and specification and economically very friendly. The texture of our product is quite robust and thus few of them are non-breakable. 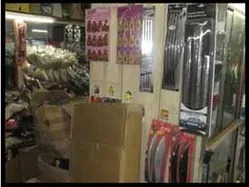 We deals in various brands like Venus, NI and Elite. Since we started, we have always been very alert while procuring materials for manufacturing these products, and in order to choose reliable vendors we select an authentic vendor from the list. We at our end conduct an in-house research and as per this we select an authentic vendor to source raw materials. After sourcing them, we also carry quality test and make sure that genuine materials have been supplied. We at a regular interval also carry out a market research programme through which we keep ourselves updated with the latest market trends and demand. Our team also keeps themselves technically update so that they meet the current market scenario. Our market awareness and delivering items which are mostly up to date have helped us to achieve customer satisfaction and a reputed position in the market. Mr. Gaurav Chhabra, Managing Director, has been a mentor and a guiding factor for us. His vast knowledge has helped us to achieve what we have aimed at. His grounded business policy has helped us in delivering satisfactory service. We have a team of experienced and educated professionals who knows profession very nicely. Our team is highly dedicated towards offering suitable and acceptable items which come with a variety of features. Our team comprises of engineers, designers, technicians, quality controller, supervisors, sales and marketing and obviously research and development team. Their effortless job has gained us a reputed position in the industry. We are not only specialized in bringing out durable products, but we also pay attention towards the raw material being used in its production. We source accredited materials from authorized vendors. Our produced items are available in different size and specification and design which offer wide options to choose from. We being a trusted organisation pays attention towards customer satisfaction and hence through our product we succeed in meeting it.